Xiomi company is about to release another brand of Mi series this very year 2017, and currently, the mobile devices they are about to release to the public happens to be Xiaomi Mi 6 and Mi 6 plus, and they are even bringing more may be after the release of Xiaomi Mi 6 and Mi 6 plus. The company is doing well in releasing its Mi series which happens to be the flagship line brand of their product currently. The company is well known for manufacturing awesome phones with costless price and same time, devices with nice specifications. 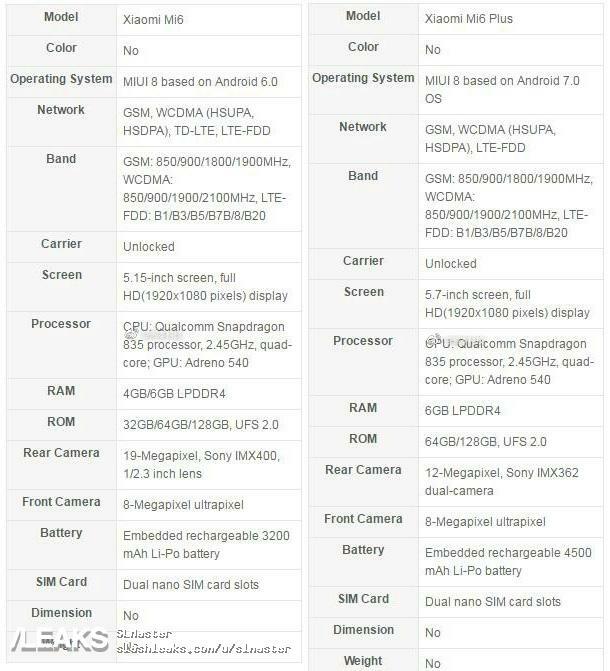 So in this post we are sharing Xiaomi MI 6 and MI 6 plus online leaked specs which is expected to compete with Samsung Galaxy S8, which is also about to be released by Samsung company this year too. Below comes the leaked specification of the upcoming Xiaomi MI 6 and MI 6 plus mobile phones. 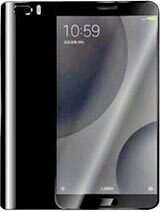 Xiaomi MI 6 is a 5.5inch full HD display device and is expected to be powered by the latest Snapdragon 835 chipset, that has a 2.45ghz quad-core processor and Adreno 540 GPU. The device is also expected to come in two different variants versions, and the two different variants versions are going to be in such a way that, one version will have a 4GB RAM with a 64GB ROM and that of the other version, will feature 6GB RAM with a 128GB ROM. Xiaomi MI 6 is also expected to have an embedded 19-megapixel rear camera and an 8-megapixels front facing camera. The MI 6 Plus of XIaomi, in the other hand is expected to have a larger 5.7 inch full HD display, which is leaked according to the specs to run on the latest Android 7 Nougat directly out from the box. As same as Xiomi MI 6, the M6 Plus will also feature the latest Snapdragon 835 chipset, that has a 2.45ghz quad-core processor and Adreno 540 GPU. The MI 6 plus is coming in just a single variant, it’s unlike MI 6 that has two different variants versions. So MI 6 Plus single variant is expected to feature a 6GB RAM with an internal storage (ROM) of 128GB. The phone is actually coming with a dual-camera setup that has 12MP Sony IMX362 sensor and also an 8MP front camera. 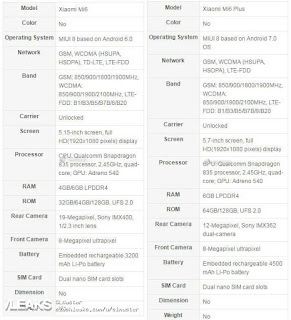 As it stands now, the price of the devices and the date when it will be released, are yet to be revealed, as these specs we just shared are not official but just an online rumored specs. Although, once a specs is rumored online, it used to or likely be same as that of the official specs when released or launched to the public. We will keep you in touch once the official specification has been released to the public. Just stay tuned for more update. Meanwhile, you can inspect the new product from Applecompany which is Red iphone 7 and 7 plus device.